** The Heart of America Executive Committee has made changes to the current Training Policy. For 2019, only Direct Contact Leaders will need job specific training. Direct Contact leaders are Cubmasters, Den Leaders, Scoutmasters and Crew Advisors. All other positions will only require Youth Protection. To read the new policy, click here. Youth participate in Scouting because it's fun! Part of making it fun is making sure the adults in the program get the training to know how to operate the Scouting program in a fun, safe, and appropriate way. All leaders in the Shawnee Trails District, Heart of America Council and throughout Scouting need to be trained to keep the program fun and interesting, and keep the youth coming back for more. All registered leaders MUST have current Youth Protection Training, meaning within the last 2 years, in order to re-register. Adults that are re-registering and new applicants will not be accepted without proof of Youth Protection Training. After taking Youth Protection Training, an individual wishing to be registered with the BSA should complete their training appropriate for the position in which they are registering. Some of the Basic Leader Trainings are available online at www.my.scouting.org. Those courses not available online are offered periodically by the Shawnee Trails District Training Staff. 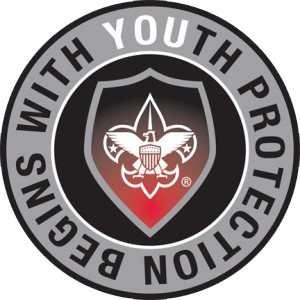 Youth Protection Training is available on the online learning center at my.scouting.org. This training is good for two years. In order for a Cub Scout Leader to be considered "fully trained" for their position they need to complete the above courses along with completing the Cub Scout Position Specific Training which is only offered in a classroom setting. 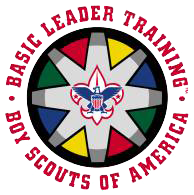 Other training for Cub Scout Leaders include BALOO (Basic Adult Leader Outdoor Orientation) and Outdoor Leader Skills for Webelos Leaders. In order for a Scouts BSA Leader to be considered "fully trained" the leader needs to take the above courses along with Scoutmaster/Assistant Scoutmaster (even if you are not in one of those positions), and Outdoor Leader Skills (OLS). Scoutmaster/Assistant Scoutmaster Training and Outdoor Leader Skills are only available in a classroom setting and OLS is a overnight campout. Troop Committee Challenge is available online. In order for a Venturing Leader to be considered "fully trained" you will need to take the above courses in addition to Venturing Youth Protection and Venturing Position Specific. Several programs exist to help train your Scouts and Venturers how to be effective leaders in and out of Scouting! Some of these programs are done within the unit, and some are offered at the district, council, and higher levels to build on what you teach at the unit level. Below are some of the common youth training programs that are most utilized by Scouting units. * Must be approved by the Council Training Chair prior to running this program.